Fort Myers, FL – October 29, 2013 - Attorney and Mediator Keith Grossman, founder and managing partner of Grossman Law & Conflict Management, shared his family law expertise in a presentation for students in the paralegal program at Edison College in Fort Myers on October 29, 2013. His presentation covered the basics of family law, offering students an opportunity to ask questions and learn from an experienced attorney and mediator. 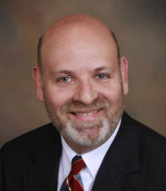 Keith Grossman is a strong advocate of advanced and continuing education in Southwest Florida’s legal community. Grossman’s presentation took place in a family law class attended by students who are currently in the paralegal program at Edison College. During the presentation, he explained the basics of divorce law, divorce procedure, and mediation to give students a better understanding of the foundation of family law and mediation. “By learning the basics of family law and mediation, these future paralegals will have a better understanding of legal situations that they are bound to encounter in their careers. I am happy to do what I can to help promote and develop up-and-coming legal professionals in the Southwest Florida community,” says Grossman.